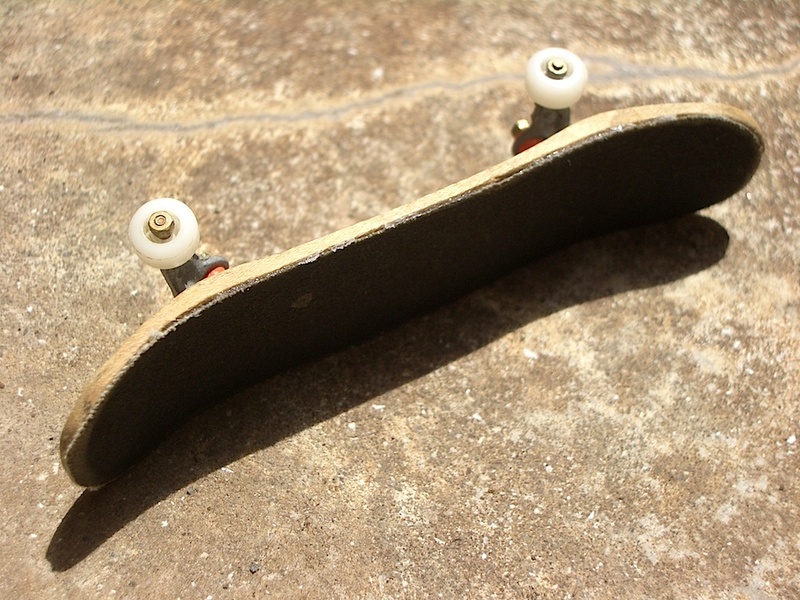 the goal of this project was to create a durable hardwood replacement for a broken plastic fingerboard. 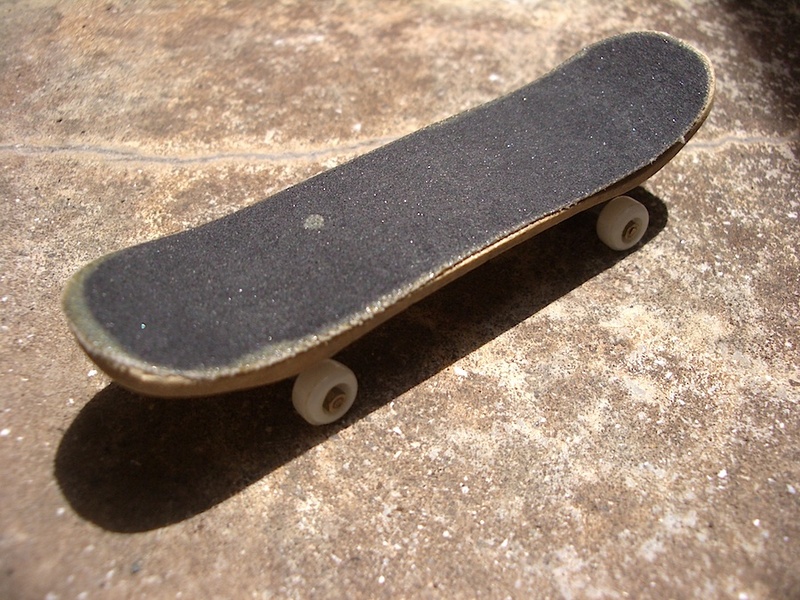 the deck was shaped from a block of hardwood and finished with emery cloth grip before being epoxied to the existing trucks. 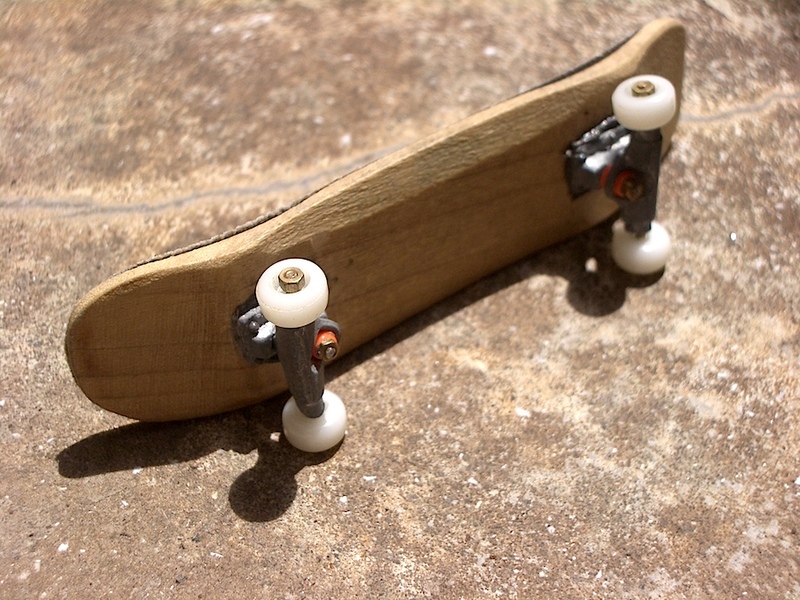 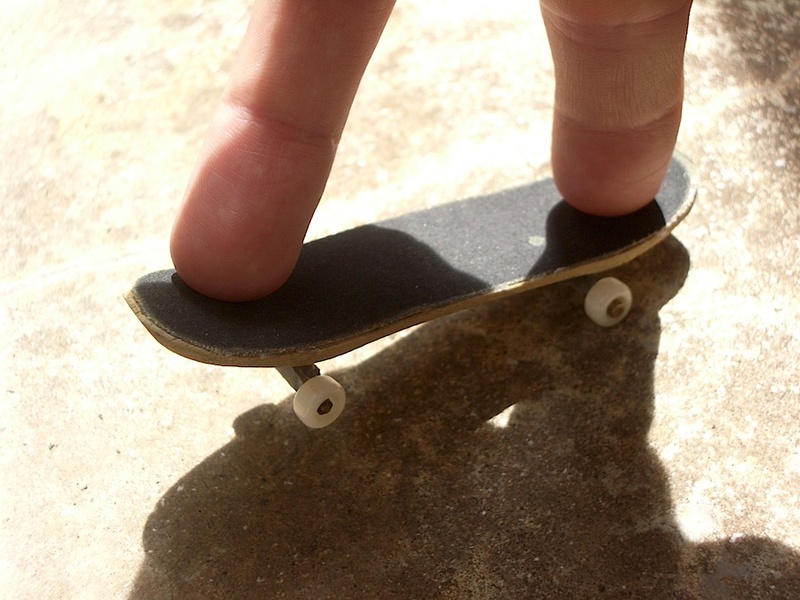 a second, non-functioning, prototype was created to scale with actual skateboard dimensions. 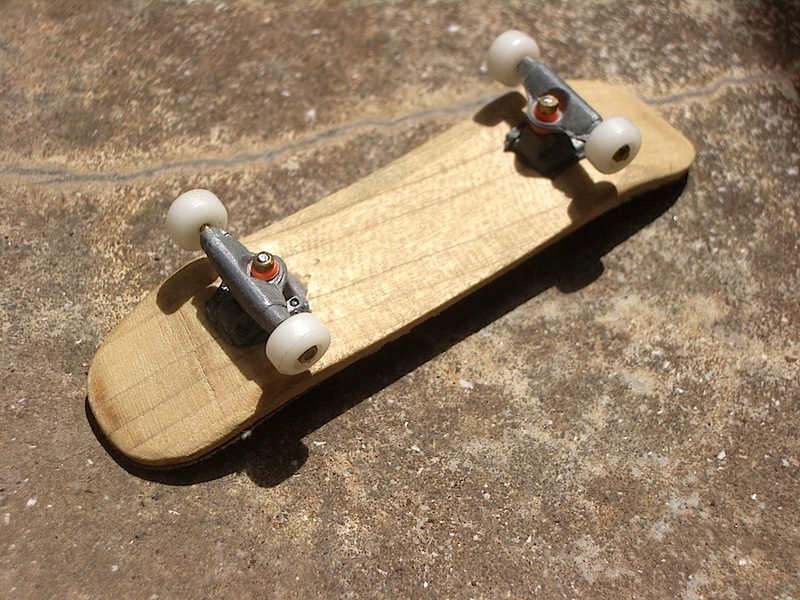 Posted in fabrication.Tagged fabrication, feature, skate, wood.